BMW Motorrad recently launched its much-awaited sub-400cc adventure tourer bike in India. The manufacturer introduced the BMW 310GS with an expected price-tag of at Rs. 3.49 lakh (ex-showroom, Delhi). 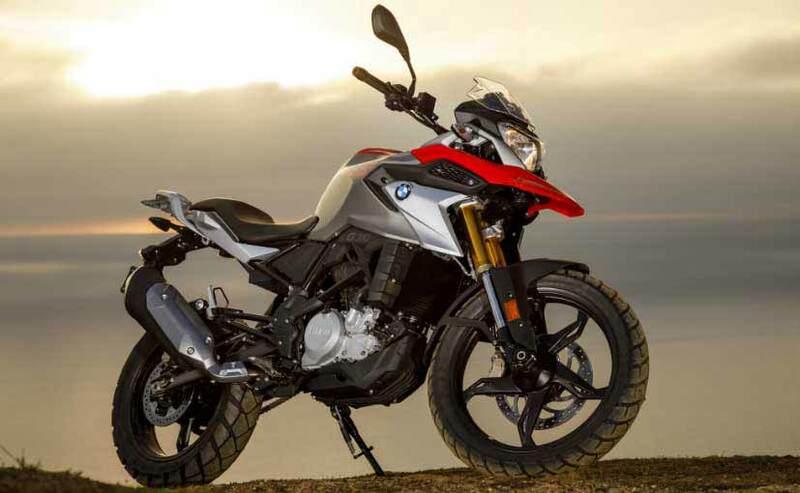 The BMW first showcased the 310GS at the Delhi Auto Expo in February 2018. However, it reached the BMW showrooms in India in July 2018. The BMW 301GS is BMW's first locally assembled motorcycle in the sub-400 cc segment. The new 310GS carries forward the legacy of the GS series. It features the snout design from its elder siblings, the BMW 750 GS, 850 GS, and 1200 GS. The 2018 BMW 310GS has a 313 cc, single-cylinder, liquid-cooled engine that delivers 34 ps at 9,500 rpm and peak torque of 28 Nm at 7,500 rpm. The motorcycle comes with a 6-speed transmission. The BMW 310 GS gets tubular steel frame, five-spoke alloy wheels, and Dual-channel ABS as standard. 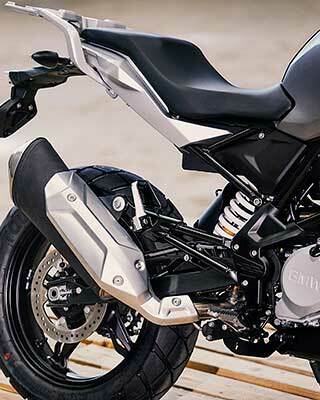 The suspension comprises of 41 mm USD forks at the front and solid die-cast aluminum swingarm and mono-shock at the rear. Disc brakes at both the ends of the bike along with dual-channel Anti-Lock Brakes (ABS) carry out the braking duties. BMW Motorrad builds the BMW 310GS at the Hosur plant in collaboration with TVS. The company uses 90% of the locally sourced bike parts from Indian suppliers. Thus, India is the 4th country in the world which produces BMW motorcycles locally. Besides, BMW is offering an unlimited kilometers factory warranty for 3 years that you can extend up to 4 or 5 years. In terms of design, the BMW 310GS borrows some design cues from the 1200 GS. 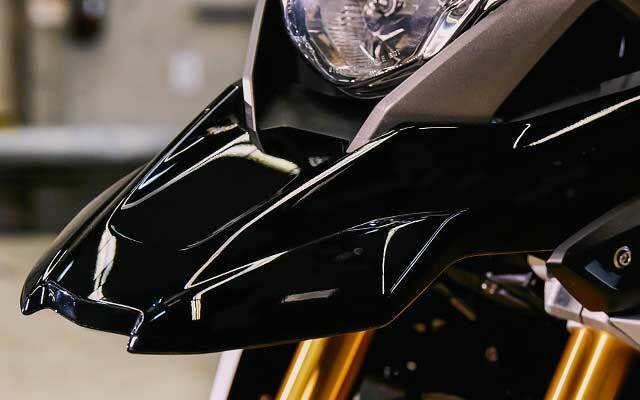 It has a sculpted fuel tank with the typical GS snout. Besides, the BMW 310GS is a tourer bike and BMW focussed on making it suitable for long rides. The riding posture is upright, while the short windscreen will offer some protection against the wind and improve aerodynamics. Having said this, the BMW 310GS is a head turner and will certainly boast of a strong road presence. BMW Motorrad claims the top speed of 143 km/h for the 310GS. The bike is expected to deliver a fuel economy of approx. 30 km/l. Technically, there is no competition for the BMW 310GS in the entry-level adventurer tourer segment. However, its closest rival is the KTM Duke 390 in terms of power and speed. KTM RC390 & RC200 2017: The ultimate track machines!